This month, we are looking at the connection between hope and God’s character as shown through His big story. We started the month out with friends of Jesus who had lost all hope. John records an incredible moment that we find in John 11:1-45. When Lazarus died, Jesus used the opportunity to point people to God. Jesus was stronger than even death itself and raised Lazarus back to life four days after he had died. 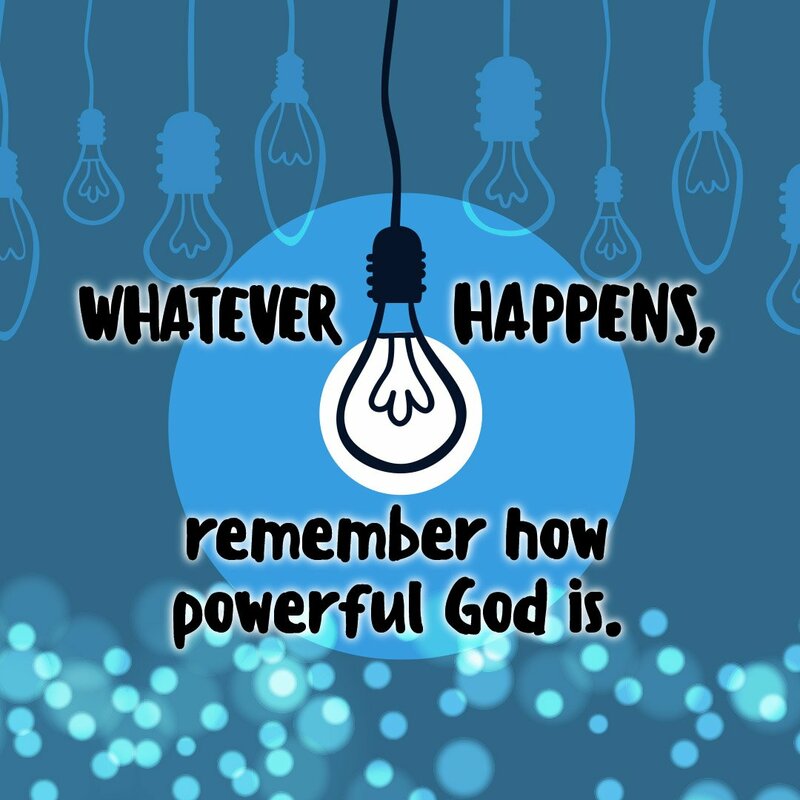 Whatever happens, remember how powerful God is. God can do amazing things in your life. We pray that kids will understand that when they face something difficult or hard to understand, that they’ll find hope that God’s power can help us through whatever we face.